Kit inludes wool felt, floss and (or) beads (or) ribbons. 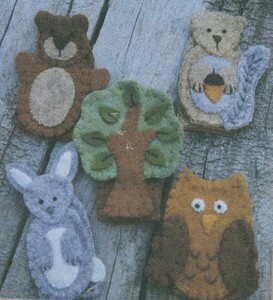 Use to make finger puppets from pattern BR206. Pattern and kit sold separately.